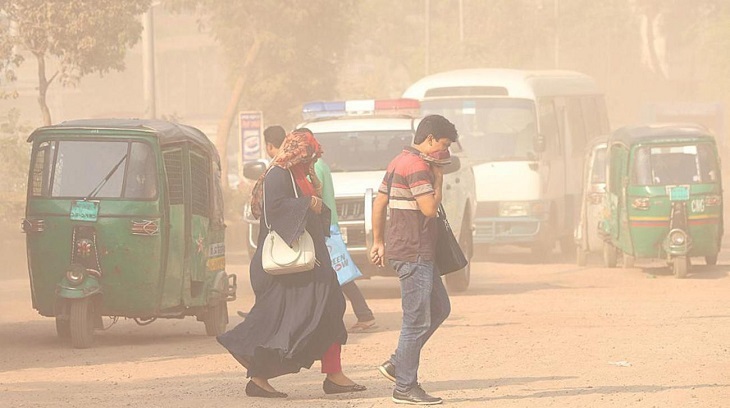 The High Court (HC) on Monday has directed the Department of Environment to conduct mobile court drives twice a week in Dhaka city to control air pollution at a tolearble lebel. Earlier on the day, The HC issued a rule asking why the administration’s inactivity on curbing air pollution in Dhaka city should not be declared illegal and why an order should not be issued to take action to limit such pollution. Justice FRM Nazmul Ahasan and Justice KM Kamrul Kader issued the rule after an initial hearing of a petition by the Human Rights, Peace for Bangladesh organisation. The HC also instructed to spray water twice a day within the next 24 hours at any area where development and renovation work is underway.